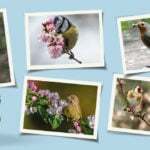 It's fair to say that the enjoyment and fun we all get watching our birds on our feeders and around the garden is priceless; but that doesn't mean we wouldn't sometimes like it to be a little less expensive! With Christmas just around the corner it can be tempting to cut back or look to make savings so we've produced some top tips on saving money and still making sure your birds are well looked after! 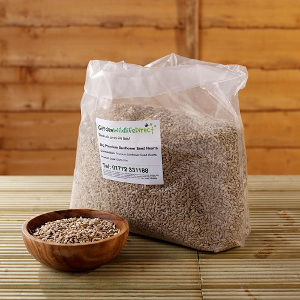 Buy in Bulk - many people pick up their bird food from garden centres or high street discount stores. Ordering online and in bulk bags of 12.55kg (or more) will seriously reduce the cost per kilo of your bird food. It's amazing how quickly you can get through a big bag and it means you're not likely to run out either! Buy Best Sellers – When you want as much bang for your buck as possible, there's no room for messing about with trial and error on mixes that might not work in your garden. Opt for the tried and tested that you (and we) know work. Buy sunflower hearts or peanuts and you're almost guaranteed garden birds. 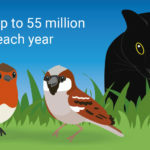 Planned Feeding – only feed a certain amount each day - garden birds will quickly adjust to how much food is available and learn to exploit other nearby sources too. Avoid any waste by putting out just the right amount to last the day. Just for Birds – if you have other unwanted wildlife such as squirrels lunching on your bird food think about feeding in squirrel-proof feeders. 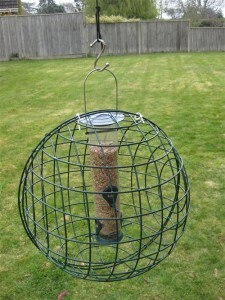 Specially designed to allow only birds to access the food they can save by reducing the amount of food wasted or spilled by pesky squirrels. 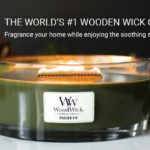 Reward Points – open a Garden Wildlife Direct account and get reward points on every purchase. Every £1 is a point and every point is worth 5p. It's amazing how quickly the points can add up if your garden is busy. Compare Prices – check out our price comparisons on all the major bird foods. We want to make sure our customers get the very best prices so are constantly checking the market to make sure we're offering the cheapest way to feed your birds. Keep them Clean – cleaning your feeders and bird table regularly will help them last longer and reduce the chances of them becoming clogged up or damaged. Free Delivery – try and order over £25 and ensure you get free delivery on your bird food. If you don't need that much buddy-up with a neighbour and share an order. 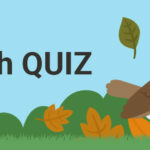 Start Small – if you're new to garden bird feeding, start small, one feeder and build from there gradually as you learn which birds are visiting and which foods are most popular. 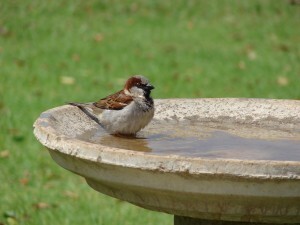 Just Add Water – adding water into your garden will attract birds in the same way as food. 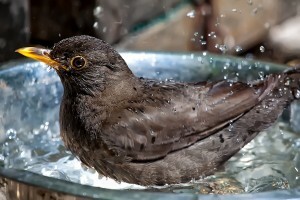 Birds need to drink and bathe and will appreciate bird baths and other water sources as much as food.